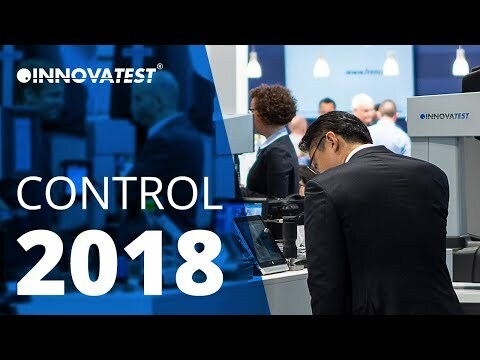 During CONTROL 2019, INNOVATEST will exhibit its latest hardness testing equipment with cutting edge technology. We are happy to showcase our Universal Hardness Testers with force ranges now reaching 10gf up to 3000kgf. Moreover we are proud to announce that our indent video systems now feature 18 Megapixels camera's. During the show we will also exhibit our new Brinell hardness testers and there is many more to come. INNOVATEST, be certain, is focussed! Come and visit us at stand: 6308! Check out the video for the 2018 show impression.